This is one of the interesting problems that I encountered recently. 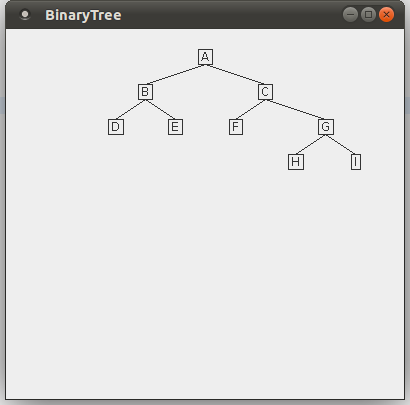 Given two sequences one being an in-order traversed sequence and other being a pre-ordered traversed sequence, a binary tree has to be reconstructed out of it. This is theoretically possible. This problem can be cracked if we form a common pattern between these two traversed values. In a pre-order traversal, the root element will always be the first element. This element when searched in an in-order traversal will have all elements to the left on the left side of the array and all elements to the right on the right side of the array. Applying this solution recursively will give the binary tree for us. I have included a Swing UI so as to visualize the output easily. I tweaked a bit from this source for UI. Hope you learnt something today along with me.